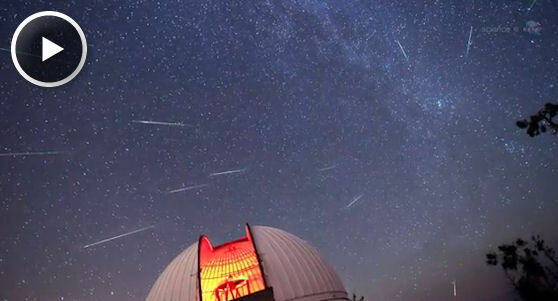 August 10, 2012: On the nights of Aug. 11th through 13th, the best meteor shower of the year will fill pre-dawn skies with hundreds of shooting stars. And that's just for starters. The brightest planets in the solar system are lining up right in the middle of the display. The Perseid meteor shower peaks on the nights around August 12th as Earth passes through a stream of debris from Comet Swift-Tuttle. "We expect to see meteor rates as high as a hundred per hour," says Bill Cooke of NASA's Meteoroid Environment Office. "The Perseids always put on a good show." Perseids can be seen any time after 10 to 11 pm. The best time to look, however, is during the dark hours immediately before dawn. Also, advises Cooke, avoid city lights if possible. Faint meteors are easily lost in the urban glare. A visit to the countryside will typically triple the number of meteors you see. This year's display is extra-special because of the planets. Jupiter, Venus, and the crescent Moon are gathering together just as the Perseid meteor shower reaches its peak. The alignment occurs in the eastern sky before sunrise on the three mornings of highest meteor activity. "We've developed an app for Android and iPhones to help amateur sky watchers count meteors in a scientific way and report the results to us," says Cooke. 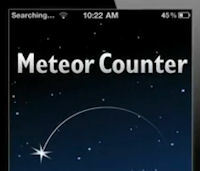 "It's called the 'Meteor Counter' and it's available for free in the Android Marketplace and Apple's App Store."